"California Image" gallery features scenic photographs of California, as well as other great locations around the world. Amazing images of sunsets, mountains, beaches, nature, city and wildlife now available in limited edition photographic prints. Buy Photo Prints Online with our Free Shipping and Quality Guarantee. We offer limited edition museum quality art photo prints professionally printed on excellent FUJIFILM Fuji Color Crystal Archive Paper. Quality is fully guaranteed and photo prints securely shipped to your address. We regularly receive thanks from people who bought photography from our on-line gallery (testimonials). Our goal is to provide art photographic prints that will be enjoyed for a lifetime and last for many years, gaining value for their owners. Buy Photo Prints Fuji Color Crystal Archive Paper, Gloss or Matte Stock. We accept payments with PayPal, Chase Quick Pay, bank transfer, check or money order. Order ORIGINAL PHOTO PRINTS Professionally Printed on FUJIFILM Fuji Color Crystal Archive Paper with Free Shipping and Quality Guarantee. Enter the price from price list below. You can enter the name of the image, photo paper type and the print size in PayPal form before making the payment. We'll contact you by e-mail to complete your order. Enter the price from price list above. You can enter the name of the image and the print size in PayPal form before making the payment. We'll contact you by e-mail to complete your order. For custom sizes contact for a quote. "Original Photo Prints" — printed on the highest quality archival waterproof and age-proof FUJIFILM Fuji Color Crystal Archive Paper, available on Gloss and Matte stocks. "Photo Posters" — available on FUJIFILM Fuji Color Crystal Archive Paper, Matte stock only. "Photo Canvas" — photo print on canvas that is wrapped around a basic wooden frame (or rolled in a tube upon request). Can be used as is, or framed. 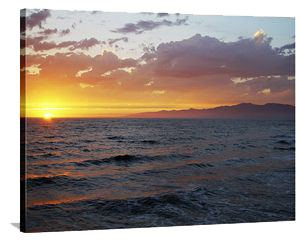 "Large Format Photo Prints" — available in custom formats and sizes. All large format output, up to 40x60 inches is done with EPSON Stylus Pro 10600 using large variety Premium Photo stock photo paper. The quality of all prints is fully guaranteed. We ship worldwide with FedEx, UPS, and USPS. Prices for photo prints include packaging and shipping in the US. Handling and International shipping charges apply. Matting and framing services are available upon request. 1. We Offer Free Shipping. Shipping and handling is included for most print sizes in the US and Canada only. Second day and overnight shipping available upon request. International shipping charges apply. 2. Fast Digital Files Delivery. If you buy digital files you can have the desired images sent to you by e-mail as fast as within a few minutes after we receive the payment! 3. All prints shipped in a secure packaging using USPS, DHL, UPS or FedEx. We take great care in handling photography and guarantee that you will receive your picture in perfect condition, free from damage and enjoy it for many years. 4. We guarantee quality of all items and your satisfaction is important to us. If you are not completely happy with your purchase returns are acceptable within 30 days, in original condition, for a full refund minus shipping costs. All photographs listed on our website and all photo prints that we offer for sale are guaranteed to be free of material and workmanship defects and will last a lifetime, when not exposed to harsh conditions and misused by improper handling. You can buy with confidence in our twenty years experience in photography and museum quality printing; always with free shipping (restrictions apply), satisfaction guaranteed and impeccable customer service. Refunds and replacements of damaged prints available within 30 days of purchase and are subjects to limitations. License fees may depend on the intended type of use i.e. one-time, exclusive, limited or unlimited, commercial, advertising, corporate, editorial, etc. Fees are quoted based on specific use including: size, placement, circulation, distribution (local, national, or international), the length of display time, and uniqueness of the image. None of "California Image" photography has appeared in any clip art collection. The length of display: one time non-exclusive, unlimited, all rights, etc. Thank you so much — I got the picture in the tube and I am so excited to go get it framed! So nice. Received the prints today. They look great! — There will be more to come. Thanks for your prompt response. Thank you, we greatly appreciate the use of your image. Everyone here thinks it is simply marvelous. The print arrived safely and I had it framed professionally. It looks stunning and is exactly what I had in mind. I gave it to my boyfriend for Christmas and he loved it. You are a very talented photographer. With best wishes for 2007. I have just discovered your site. I find it very succeeded and your photographs are touching and superb. My name is China and I purchased the Big Sur Waterfall photo from you. The photo was absolutely beautiful. The quality of the color and sharpness of the picture is amazing. I would like to thank you for sharing your passion. I could only dream of taking such beautiful pictures. I have visited the various galleries you have and I look forward to future purchases. I love the print and it arrived safely and timely. Thank you. Dear Californiaimage.com, I Live in Las Vegas Nevada. Your Pictures of Venice Beach and All the other ones were Extraordinary. The pictures of the View of LA was Completely fabulous. I would just like you to know the Pictures are simply beautiful and you have done an Excellent job capturing the Magic of California. I received the print today. Awesome picture and great quality. This website, the design, code, and all photos (except where specifically noted) are copyright © California Image. All rights reserved. All images on this site have been registered with the US Copyright Office. Photographs may NOT be reproduced for any reason without written permission. Use of images on personal sites requires permission in advance of use. California Image is a Trade and Service Mark of California Image Photography. Disclaimer: This website contains images that, while copyrighted and owned by California Image, may contain representations of material belonging to other third parties, including possible copyrights, trademark or service marks. In all cases, California Image claims no connection, association, arrangements, or agreements with the holders of such third party copyright, trademark, or service marks. Under no circumstances is the display of these images meant to cause any confusion as to the source or origin of such material, or to draw any direct or implied connection or association between California Image and the owners of such marks or copyrighted material. Furthermore, California Image and the photographer do not endorse any such owner of third party rights, nor does California Image and the photographer claim to be endorsed by any such third party. Vladimir Sytnik — photographer with the background in fine art (Syytnik) and graphic design (imageKandi), worked in New York City in the 90's. Since 1999 lives in Los Angeles, California. The creative experience includes fine art, photography and video, music, graphic design and web development. Professional work includes art directing for a magazine in Los Angeles CA, freelance work, graphic design, web entrepreneurship, and worldwide travel photography. Some of the clients — Warner Brothers, Vanity Fair, Marriott, UCR California Museum of Photography, Los Angeles Magazine.